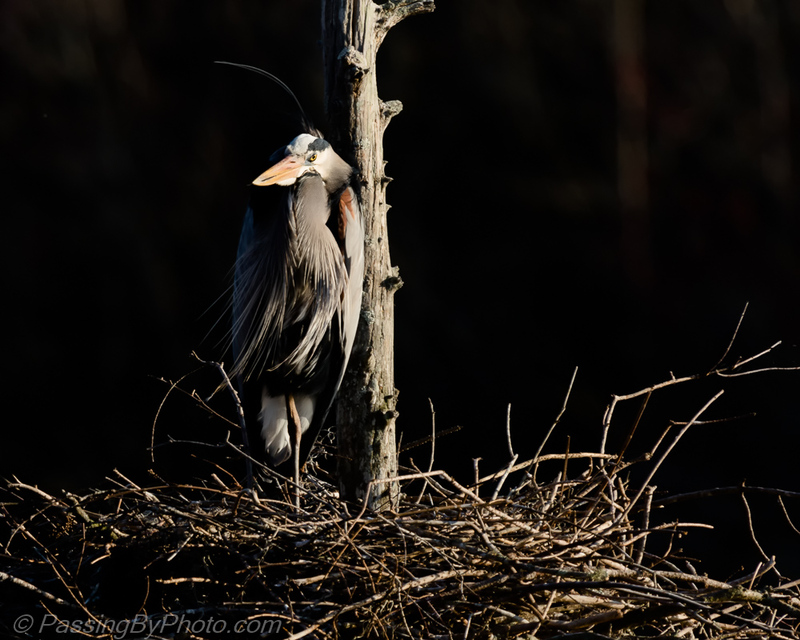 A Great Blue Heron on her nest in the late afternoon sun. She looks pretty focussed! Wonderful photo. Thank you, Belinda! I don’t think they miss much. The Anhingas have tried to set up below this nest and I’ve seen her drive them off.